The solution to the UL challenge – is an industrial awareness what we need? The solder limit subject has been a “hot potato” for a quite some time, with lots of discussions around the «new» requirement from UL. The requirement was brought to attention by UL’s Emma Hudson early 2018, where they demand that all UL Types must be re-approved regarding solder limits. How can we solve this situation, at the best for the industry? Without creating lots of new challenges, by solving this single one? First thing first, what is really a solder limit? Solder limit is the time a PCB is exposed for a temperature above the UL approved maximum operating temperature (MOT) during a soldering process. In most cases, the solder limit has been tested to 20 seconds, which means the PCB is UL certified to be exposed to temperatures above MOT for 20 seconds. So how did we end up with testing for 20-30 seconds only? Well, going back in the history of electronic manufacturing, at the time we set those numbers we had waive soldering and components on only one side. When we started to have components on two sides we were already out of those 20 seconds. In 2006 we were introduced to lead-free soldering and things got much worse for the solder limits. A question would be, why did not UL act at that time, when they had a golden opportunity? Being a “rookie” in the UL Technical Panel I had to find out. It seems UL had a discussion in the technical committee back then, but strong voices used their “veto” to stop the process. We can only assume that a higher cost was the main driver. So, now we are back where we started, and the situation is much worse. Thousands of materials and PCB builds have been added with a high cost for every single certificate, and since all of us now finally understands what this is about, UL cannot continue without a big warning! What the industry need to remember, is that these parameters are not just made to have rough guidelines. Its main reason is for safety. Not just safety for the printed circuit, it’s a safety for the product where the PCB plays a vital part. The PCB will surely survive all soldering and assembly processes. But, if soldering processes degrade the materials the result could be a field failure. Then the issues one needs to face are of a severe dimension. Since soldering limits have been overlooked, and in reality not understood in the supply chain, the industry has made their own tests to qualify a laminate for multiple soldering processes. To advice customers to use the material most feasible for their product, have been part of my job for years, and became critical after the introduction of lead-free processes in 2006. Still very few have paid attention to what state the PCB is in, after surviving all the assembly processes and delivered to the end customer. That’s where UL test procedures to evaluate solder limits becomes valuable, and this is UL’s main responsibility! So how do we move forward, and make sure we once and for all find a solution that actually works? A new suggestion (in reality proposed a few years ago within the UL Technical Panel) to solve the issue, is to qualify solder limits by a number of standard soldering cycles instead of a number of seconds. We are very much in favor of this solution. The big questions, however, is how do we find a way forward for existing UL type certificates? If UL requires all existing UL types to be re-tested, the cost will be huge and test capacity is not ready to meet this sudden demand. A typical PCB factory producing multilayer PCBs with HDI can have several hundred types. The cost of retesting all these is immense! No doubt there is a big pressure on UL to start the new testing from now and leave the past untouched for PCB factories. 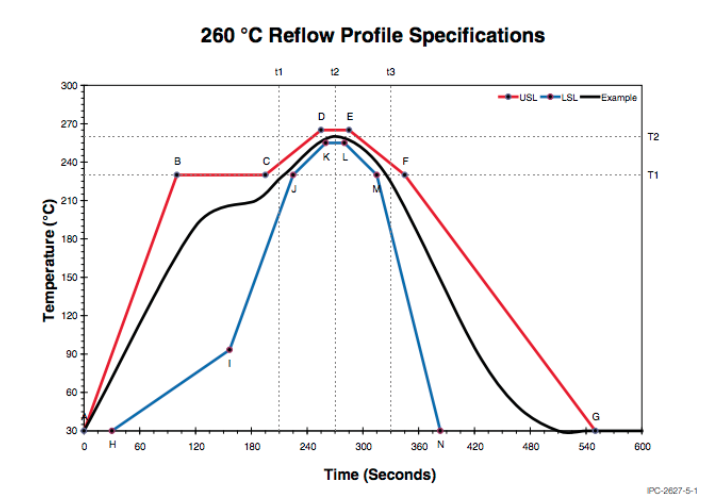 If UL still decides to move away from solder limits based on time, and focus on the number of processes a PCB can tolerate, according to J-STD-020, then we are on the right path. As a matter of fact, this is how most global companies qualify laminates for lead-free soldering today. By implementing these tests and use them as guidelines, the industry will have parameters that actually are correct, until UL have finished all testing. However, should UL decide that all existing approvals must be re-tested by UL, we might face a situation with enormous expenses and incredibly long qualification lead times. Not to mention the reactions when the industry understand the cost and workload this project applies to laminate factories and PCB suppliers. What we do today is wrong! Another way forward could be to start this process by requesting laminate and solder mask suppliers to retest all their most popular materials. Then use this as a support for existing PCB UL types with the upper limit of 4 cycles as an interim solution until all PCB suppliers have updated their UL approvals. Again, this will release the pressure and focus on retesting the most critical. Still the most important in the whole soldering question is that safety comes first. As I see it, it’s now all about finding the best solution for all involved parties, and hope that no strong voices will silence the discussion. Because what we do today is wrong!